Why use a local Re/Max Agent? · RE/MAX Big Bear agents have been serving the community for over 25 years. 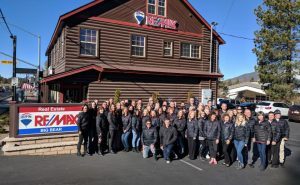 · RE/MAX Big Bear agents stays current on local issues that matter to our second home buyers and vacation rental investors. · RE/MAX Big Bear supports local charities for our homeowners that live in our community. · RE/MAX Big Bear offices are open 7 days a week. · RE/MAX Big Bear agents provide personal service. · RE/MAX Big Bear has the resources to help you find the home or investment property right for you. · RE/MAX Big Bear agents understand how the changing seasons can affect your new home. · RE/MAX Big Bear utilizes the local MLS (multiple listing service) to ensure you find the right home at the right price. · RE/MAX Big Bear agents are specialist in our area because they live and work here. · RE/MAX Big Bear does not have set fees, your don’t pay unless your home sells. · RE/MAX Big Bear offers face to face service, can discount and online brokers say that? · Do you want a hybrid company to serve you? Tech company first, real estate company second. · Discount and online brokers may have low fees but they also have low service and sparse resources. · Do you believe in getting what you pay for? With a RE/MAX agent service is #1. · RE/MAX Big Bear does weekly office tours to ensure your home is seen by all RE/MAX Big Bear agents. · RE/MAX Big Bear agents utilize Broker Open Houses which is a method of introducing your listing to all industry professionals in our community.